Homebrew competitions appeal to the competitive nature of many homebrewers. And for brewers who really enjoy homebrew contests, there are plenty of challenges out there. Brewers can aim for a best of show ribbon, the most points in an individual competition or compete in contest circuits. And of course, there’s always getting past the first round and winning a medal at the National Homebrew Competition. If you want to be a competitive brewer, you have many decisions to make. At a minimum, you should understand the logistics of your undertaking. For help understanding what it takes to become a competitive homebrewer, I spoke with Mark Schoppe — winner of the 2012 Ninkasi Award and Individual Winner of the Lone Star Circuit in 2011 and 2012 . . . and a whole bunch of other stuff. 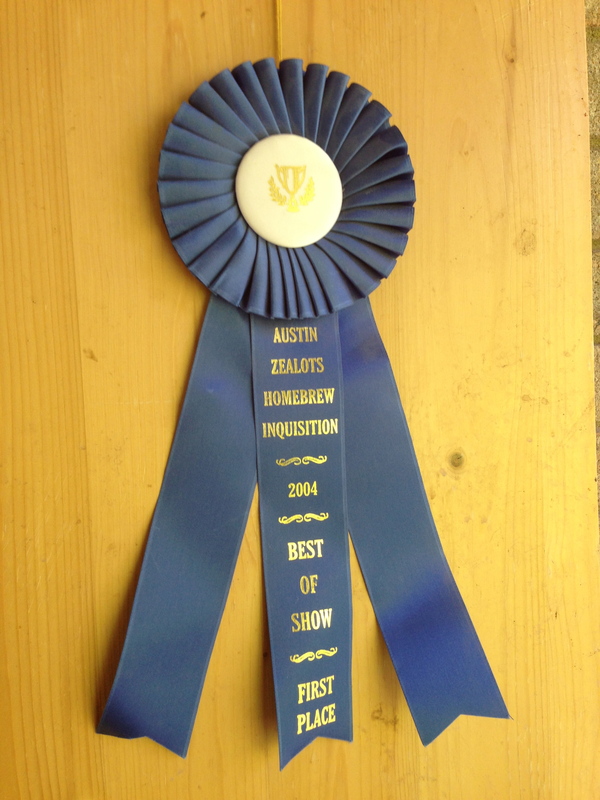 Many homebrew competitions give an award for the overall points leader. And Mark’s first word of advice is to brew a lot of beer. To do this, he advises not only brewing often, but splitting batches to make two or more beers. Brewing often is a good start, but you need to plan your brewdays so that you have beer ready when the contest or contests you plan to enter are ready. For this, Mark advises planning ahead. Look at the list of upcoming homebrew competitions and decide which you want to enter. Then work backwards from the entry dates, plan what you want to brew and make a competition calendar. Mark down not only brewdays, but days you will need to rack, keg or bottle beers. For a contest that is months away, brew your bigger beers — that take longer to ferment and age — first. Brew low-alcohol session beers closer to the entry date. Eventually, you will have a stockpile of beer and you will be able to enter beers from it, not just those that you brewed for a specific competition. Keep an inventory of what beers you have and when you brewed them. Strong beers, sour beers and mead keep for long periods of time, so brew enough that you can enter these in contests over the span of a few years. Five gallons (19 L) will give you enough bottles to enter 15–18 competitions, depending on how many bottles are required for each. For weaker beers, estimate how long they will stay fresh, see how many contests you could enter during that period, and scale your batch size down if needed. Even the weakest session ale should remain in good shape for at least 6 months. Use the down time from November to February, when there are relatively few contests, to brew bigger beers for the coming years contests. When you make your plan, consider where you will store the beer. Count the number of cases and try to have sufficient fridge space to store it all. (Most competitive brewers have multiple brewing fridges and/or temperature-controlled chest freezers that can be used to store beer.) Limited storage space is also another reason to consider scaling your batch sizes to match your competitive goals for each beer. Keep in mind that storing beer at room temperature isn’t going to ruin it immediately. Storing some beers “warm” is probably inevitable once your stockpile of beer reaches a certain size. Getting more than one brew out of a brewday is key to Mark’s goal of having a large stock of beers available to enter into contests, and I’ll elaborate on that a bit in the near future. Once you’ve settled on a brewing calendar and have a plan to brew, age and store all your beer, you can begin making the beer-related decisions that go with entering contests — what categories to enter, how to make your entry stand out, etc. I was just curious if you have any tips for shipping beers to competitions? I just started home brewing about a year ago and am interested in eventually entering some competitions (mostly for unbiased feedback). For example, what is the best way to pack them for shipping? How far ahead should you ship the beers (so they have time to settle at the other end)? I enjoy reading your articles and am an avid listener of the Basic Brewing Radio podcasts – thanks! The only advice I have is to pack the beer as if you expected the box to be kicked around. Lining the bag with a plastic garbage bag, wrapping each bottle in bubble wrap and filling the empty space with packing peanuts is one way to do this.